On a recent trip to Costco, I purchased a large box of beautiful pears after my two-year old begged me to buy them. They ripened quickly at home and guess who decided he doesn’t like pears! Note to self: Do not make purchasing decisions based on the whim of a two-year old. After giving away several beautiful pears to the neighborhood kiddos, I still had more than I could eat by myself. 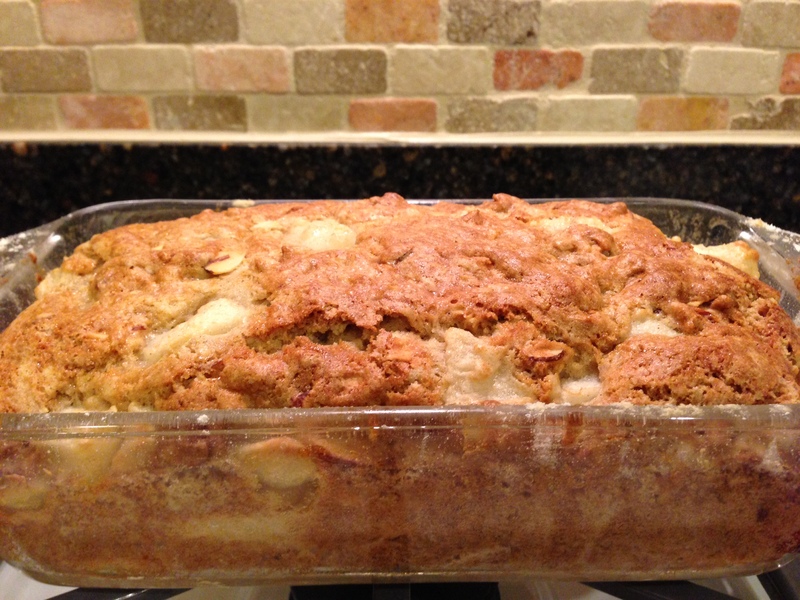 I absolutely hate letting food go to waste, so I decided to try making pear bread. I’d never had it, and had never made it, but figured it just had to be good, so why not?